Gardening is a fantastic hobby that offers plenty of things to do. You can grow vegetables, herbs or just create the most stunning flower garden in the whole world. To make it all easier, you can find plenty of gardening tools for the different jobs. Some gardening tools are more useful than others. To ensure you don’t waste your money on vanity tools, here is a list of the eight basic gardening tools with pictures and their uses. You should start your essential gardening tool collection with a garden spade. A garden spade is a hand-sized shovel and not the kind of huge spade you need for transferring big pieces of land. A small garden spade has a relatively flat scoop, which is often shaped like a triangle. You can find spades for cheap, although you do want to focus on the quality, not the price. 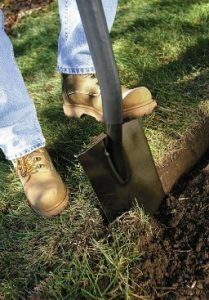 A good spade should last for years if you take good care of it. 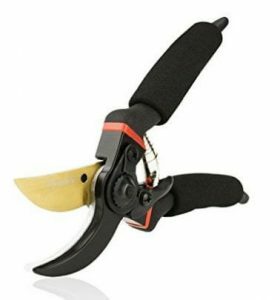 You’ll also need a good pair of pruners for cutting and clipping away the unwanted bits on your plants. Pruners can cut back overgrowth and take make it easy to remove dying parts in your plants. You can even use them to shape your plants – perfect for keeping your rose bush looking stunning. While it’s possible to find pruners for cheap, you should pick something a bit better quality. Tesco has a good selection of pruners available. While they will initially cost a little, you won’t need to replace them anytime soon – if ever! 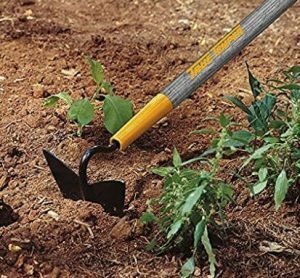 A good garden hoe will make a number of your gardening tasks so much easier. You can use it for pushing and pulling soil, shaping soil, weeding and dividing roots, edging grass, and digging trenches. This magnificent tool will ease your gardening in an instant. You’ll ideally want a hoe with a proper rubber handle for easy use and a forged steel finish to add to the quality of the product. Now, water is an essential part of gardening and you need to remember to water your plants regularly for them to blossom. The type of watering system that works the best for your garden will depend on the size of your garden. If you just have a tiny, balcony sized plot, a watering will be sufficient. On the other hand, if your garden is bigger than an average balcony, you definitely want to invest in a long hose with an adjustable nozzle. 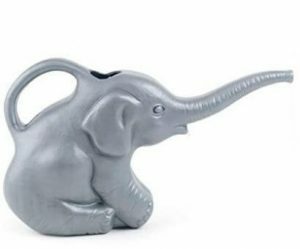 Adjustable nozzles are a good idea even with a watering can. Different plants require different water pressure and the amount of water and just by adjusting the nozzle you can ensure no plant gets more than it wants. You should also pick a garden fork from your favorite gardening store. 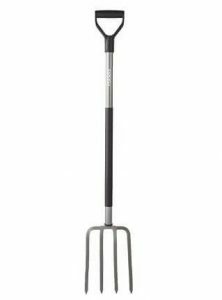 A garden fork is a small rake-style tool that generally has three to four pointed prongs. The fork makes it easy to prepare small planting beds for seeds – if you use many pots for planting, a small garden fork is a must-have. You might think leaf rakes are just for getting rid of plants on the ground. But you can also use a leaf rake to raking a planting bed and getting it ready for planting. The long and rather sharp rakes will pull and move the soil around, making it airier for the seeds. 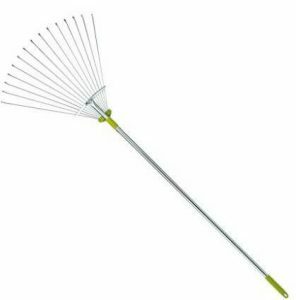 Of course, you can also use the leaf rake for raking leaves and garden debris away from the soil. You really don’t need to spend a fortune on a leaf rake – Toolstation has a selecting of sturdy rakes at affordable prices. Depending on the size of your garden, you will need a proper lawnmower or at least a trimmer. This ensures you can keep the grass at just the right height – creating that beautiful finishing touch for your garden. If your garden is not huge, a trimmer might be enough to cut the grass. Lawnmowers and trimmers are the costliest items on the essential list, but you could save money even on these purchases. Gtech.co.uk has special voucher codes, which can ensure you don’t pay the full price when shopping for quality equipment. 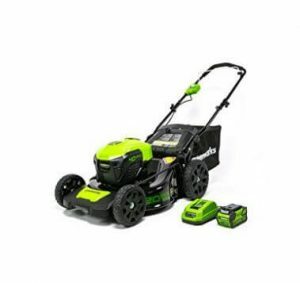 You may also read major criteria to buy zero turn lawn mower for gardening. While it’s actually rather pleasant to get your hands dirty in the garden soil, you should buy a pair of gardening gloves. 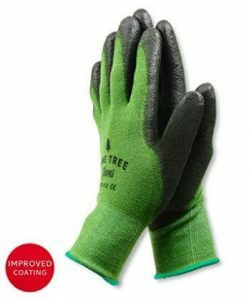 Gloves offer protection from thorny and splintery weeds and plants, ensuring you don’t end up hurting yourself while gardening. A good pair of gardening gloves is not too bulky but offers enough protection from needle-like plants. You also want to pick something durable, as you don’t want to be shopping for a new pair immediately after you bought one. The Homebase site has beautiful gardening gloves for all sorts of tastes. Finally, we described some major name of tools used for gardening. So, if you are starting out gardening or just looking to update your gardening tools, the above eight are the essential tools you need. With these tools, you can have a blossoming garden in no time. Apart from these, you also need to read some best gardening magazines for getting tips on gardening.